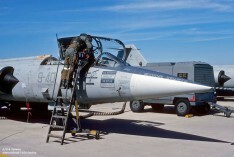 The TLP (Tactical Leadership Program) is a specific exercise organized to train the more experienced pilots in high-level tactics and special techniques. Each event is/was divided in a number of weeks with each focusing on different areas.. First years (cold war period), starting from September 1979 it was mainly held at Jever AB until they finished late 80s. From early 90s the NATO restarted the initiative in a more modern layout and organized TLP programs mainly held on the Belgium Air Base Florennes. Canadian CF-104s participated from 1CAG Baden-Sollingen. 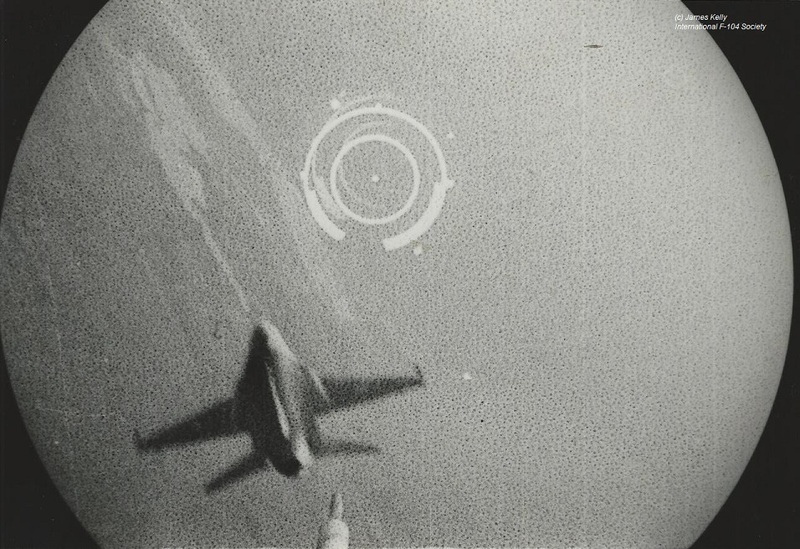 Beneath photos thanks to James Kelly from his gun-camera after hunting an F-16 and from the fighter pilots group. 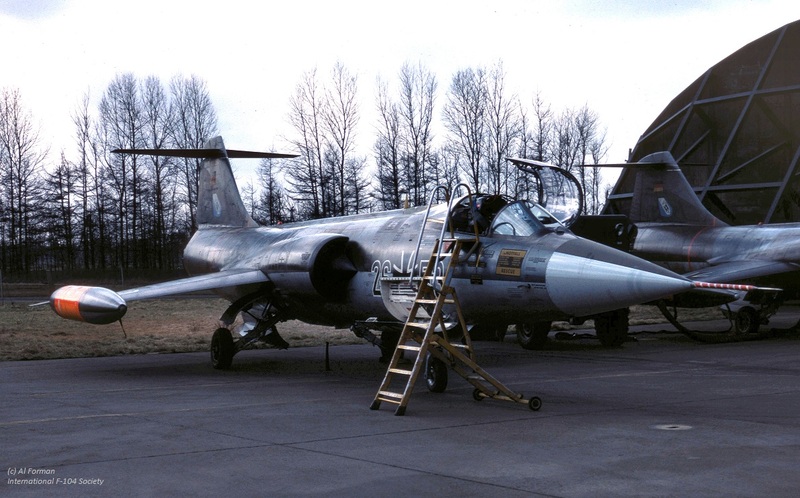 Two unidentified CF-104s participated from 1CAG Baden-Sollingen and 3 Royal Netherlands Air Force F-104G Starfighters participated being D-8051, D-8259 and D-8268 (all 312 Squadron). During this event Starfighters from Buchel based JBG33 and from Lechfeld based JBG32 participated. Aircraft seen were 24+98 (JBG32), 25+46 (JBG32), 21+68 (JBG33 blue), 22+47 (JBG32) and 26+53 (JBG33 blue). Beneath some photos taken at Jever by Al Forman. 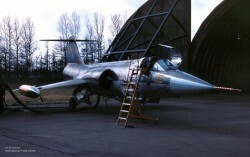 Starfighters seen during this event were from the Canadian 1 CAG and from the Lechfeld based JBG32. 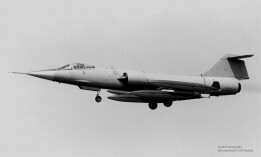 Aircraft seen were CF-104s 104756 and 104868 and F-104Gs 21+95, 23+94 and 25+21. During this TLP the German Air Force JBG33 was invited. Aircraft seen were 20+57, 22+04, 22+05 and 25+28. Also the German Navy sent two Starfighters being 26+65 and 26+78 from MFG2. 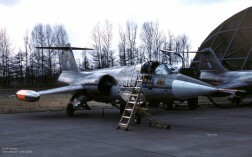 The only participating Starfighters came from the Danish Air Force 723 Eskader with F-104Gs R-699, R707, R755 and R756. The Canadian Armed Forces 1 CAG from Baden Sollingen brought CF-104s 104749 and 104806 while the German Air Force JBG34 flew missions with F-104Gs 20+38, and 22+90. 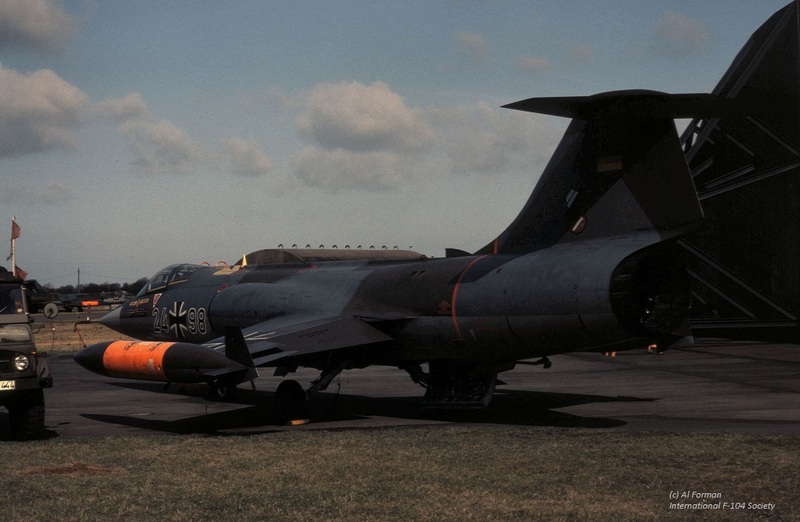 German Air Force JBG33 brought a large number of six Starfighters to Jever being 22+07, 25+18, 25+23, 25+61 26+03 and 26+05. During this event German Air Force JBG34 participated with F-104G Starfighters 26+37, 26+41 and 26+47. 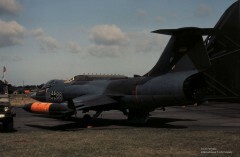 During this event German Air Force JBG33 came along with 5 single and 1 two-seater Starfighter. Aircraft F-104Gs 25+45, 26+05, 26+28, 26+44, 26+52 and TF-104G 27+96. 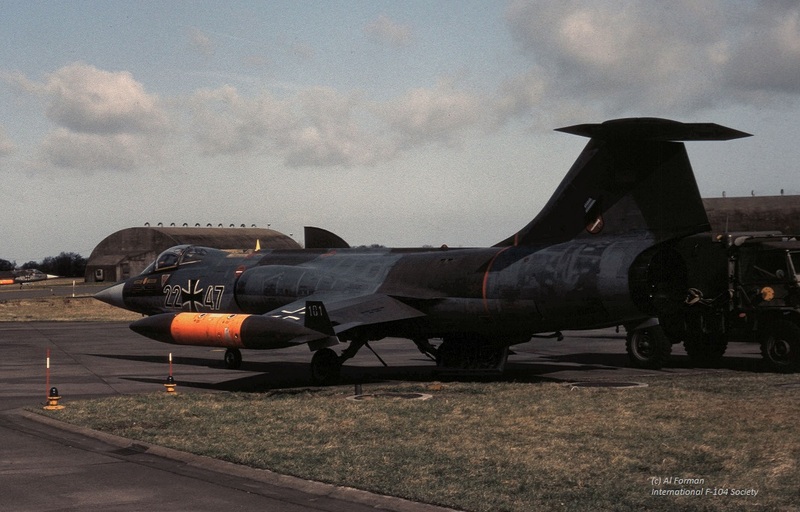 The German Air Navy MFG2 participated with four F-104G Starfighters 26+58, 26+65, 26+74 and 26+82. The Canadian Armed Forces 1 CAG were available with CF-104s 104776, 104808 and 104835. The Canadian Armed Forces 1 CAG were available with CF-104s 104716, 104751 and 104761. The Canadian Armed Forces 1 CAG and German Air Force JBG34 participated this meet. Aircraft seer were CF-104s 104808, 104865 and F-104Gs 22+01, 22+35, 25+28, 25+30 and TF104Gs 27+98 and 28+15. It was mentioned that 4 Italian Starfighters participated at the TLP but actually it looks like the four aircraft were just only visiting Florennes for the open day held during this TLP exercise being MM6825/36-11, MM6701/36-13, MM6879/51-02 and MM6820/51-07. Two Starfighters were seen during this TLP being F-104S/ASA MM6722/5-45 and MM6876/5-40 from 23 Gruppo, Italian Air Force. Aircraft 5-45 was seen on the 6th of December flying a mission from Florennes. It was confirmed the first TLP with participating Italian F-104's. The Gioia Del Colle based Starfighters from 12 Gruppo participated with two Starfighters. MM6732/36-02 and MM6908/36-16. Both were first noted on 25 April and last noted on 5 May, both flying a mission. Two Gioia Del Colle based Starfighters from 12 Gruppo participated. 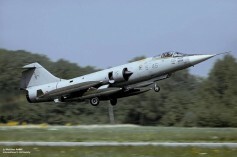 Also Trapani based 18 Gruppo Starfighters joined this exercise. Who knows the serials? The Italian Air Force 9 Gruppo participated with two Starfighters. MM6760/4-50 and MM6761/4-3. Both aircraft arrived the 14th November and departed on 9 December. The Istrana based 22 Gruppo participated with two aircraft and one two-seater. MM6764/51-03, MM6932/51-05 and TF-104G MM54258/4-40. There are rumours that also MM54257/4-29 has been seen at Florennes during the meet but this is not confirmed. The Istrana aircraft arrived 22 January. 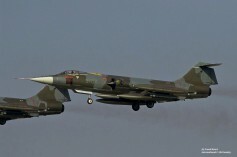 The Grazzanise based 10 Gruppo participated with two aircraft being F-104S/ASA MM6740/9-35 and MM6808/9-30. Both flew at least a mission on the 28th of March. The Grosseto based 9 Gruppo participated with some aircraft being F-104S/ASA MM6890/4-11, MM6912/4-20, MM6774/-, MM6805/4-10 and TF-104G MM54553/4-44. The aircraft MM6774 was just new with 9Gruppo and did not yet carry squadron serial. MM6890 arrived on 8 July likely together with MM6774. The MM6805, MM6912 and the TF arrived 28 June. On 2 July aircraft MM54257/4-39 visited Florennes and stayed the night. 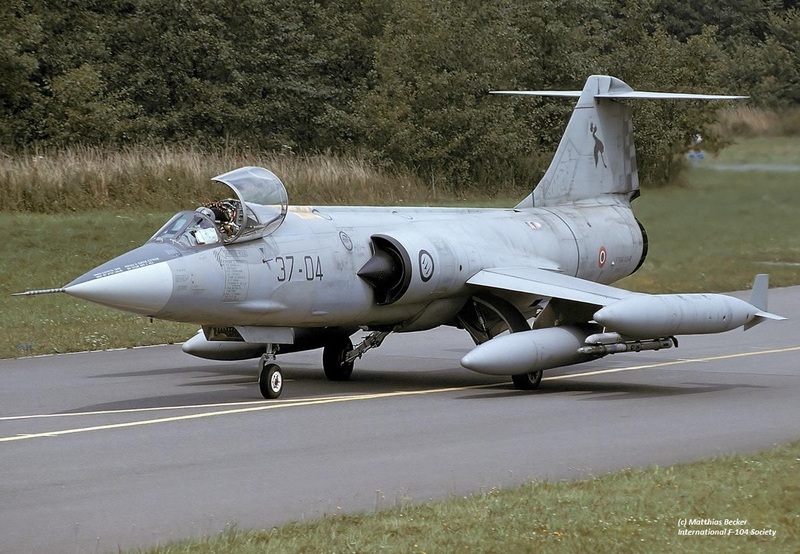 Some believed also 4 aircraft from 23 Gruppo participated but these aircraft visited Florennes between 19 and 28 June because of a squadron exchange (MM6770/5-30, MM6812/5-33, MM6881/5-42 and MM6920/5-35). The Grosseto based 9 Gruppo participated with four aircraft being F-104S/ASA MM6774/4-1, MM6890/4-11, MM6923/4-21 and MM6930/4-12. Aircraft 4-11 and 4-21 arrived the 30th of April replacing the other two who left that day. The Trapani based 18 Gruppo participated with two aircraft being F-104S/ASA MM6800/37-25 and MM6844/37-23. Aircraft were seen at Florennes on 14th of November and also early December. The Grosseto based 9 Gruppo participated with two aircraft being F-104S/ASA MM6926/4-56 and TF-104G MM54226/4-23. Both aircraft arrived on 6 February and departed again on the 20th. 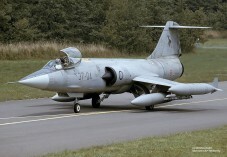 During this celebration also two Starfighters were seen from 20 Gruppo being TF-104G MM54226/4-23 and MM54232/4-29. They arrived the 28th and departed the 30th of April. The Rimini based 23 Gruppo and Grazzanise based 10 Gruppo participated with both two aircraft being F-104S/ASA MM6822/9-30, MM6934/9-51 and F-104S/ASA-M MM6848/5-46 and MM6880/5-36. The Grazzanise Starfighters arrived the 15th of May while the Starfighters from 23 Gruppo arrived on the 30th of April. They stayed at Florennes for TLP 1998-3 starting a few days later. All four Starfighters departed again on 29 May 1998. Beneath a photo showing MM6848 code 5-46 taking of for an other mission from Florennes on May 20th. (Photo thanks to Matthias Becker). 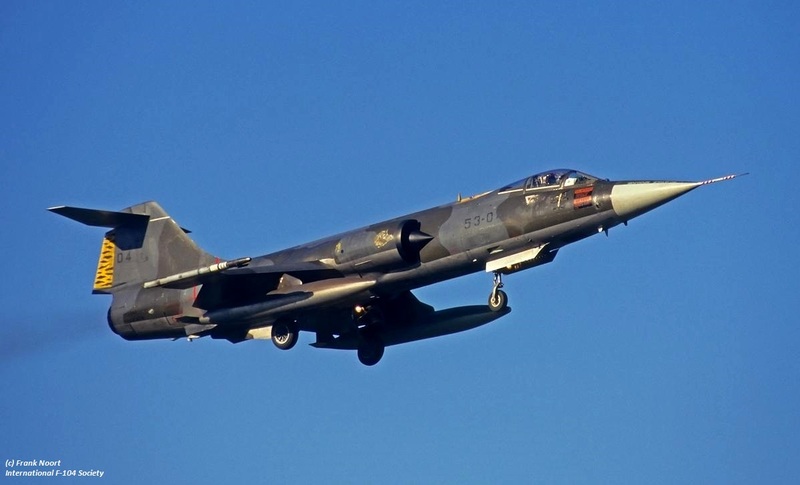 The Grosseto based 9 Gruppo participated with two aircraft being F-104S/ASA MM6774/4-1 and MM6930/4-12 both arriving the 3rd of July and departing the 17th. The Rimini based 23 Gruppo participated with two aircraft being F-104S/ASA-M MM6719/5-40, MM6737/5-46 and MM6870/5-45. Aircraft 5-40 and 5-46 arrived on 26 April while the third one (5-45) arrived the 17th of May replacing aircraft 5-40 which departed a day later. Finally 5-45 and 5-46 flew back home on 21 May 1999. The Grosseto based 9 Gruppo participated with totally 4 aircraft being F-104S/ASA MM6817/4-55, MM6825/37-10 and TF-104G-M MM54254/4-36, MM54237/4-32. Aircraft MM6825 was used by 9 Gruppo on loan from 18 Gruppo and arrived 6 July. TF-104G 4-36 replaced 4-32 on the 23rd of June. Aircraft 37-10 replaced 4-55 on the 6th of July. The last two Starfighters departed on the 16th July. 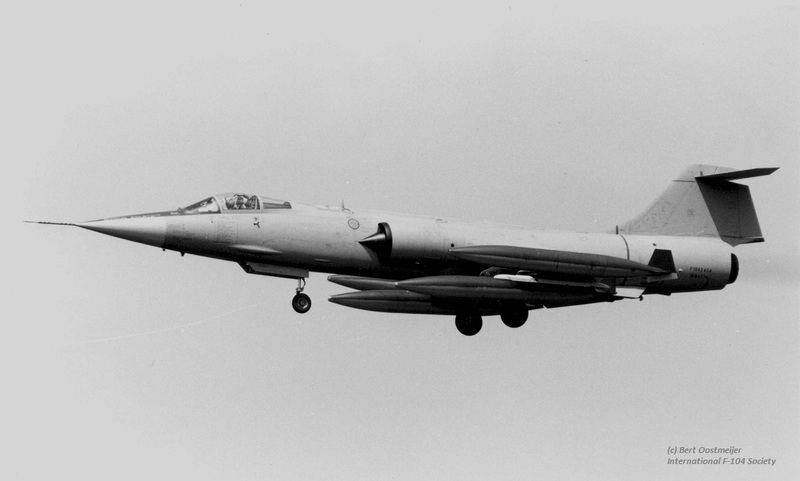 The Grazzanise based 10 Gruppo participated with 3 aircraft being F-104S/ASA-M MM6720/9-51, MM6787/9-32, MM6929/9-43. Aircraft 9-32 and 9-43 both arrived on 20 September and on 4 October aircraft 9-32 was replaced by the arriving 9-51. The remaining two Starfighters both departed again on 15 October. The Tarpani based 18 Gruppo participated with 3 aircraft being F-104S/ASA-M MM6762/37-02, MM6775/-, MM6876/37-21. Both aircraft 37-02 and 37-21 arrived on 26 November while the third uncoded Starfighter arrived 3 December. All three departed again on the 10th of December. The MM6775 had just been arrived within 37 Stormo after being modified to ASA-M. The Grazzanise based 10 Gruppo, Cervia based 23 Gruppo and Grosseto based 9 Gruppo participated with 4 aircraft being F-104S/ASA-M MM6719/9-52, MM6770/9-35 and F-104S/ASA MM6875/4-14 and MM6816/4-6. The 23 Gruppo aircraft arrived 17 March, the 9 Gruppo aircraft arrived the 6th. All departed again on the 31st of March. The Trapani based 18 Gruppo participated with 2 aircraft being F-104S/ASA-M MM6775/37-10 and MM6925/37-15. They arrived 19 June and left July 14th. Aircraft MM6775 arrived using callsign "I 6775". 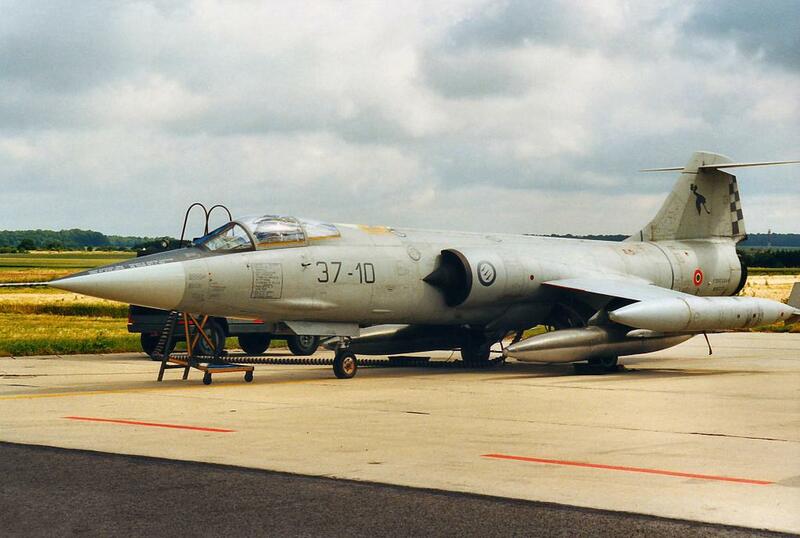 Beneath a photo (photographer unknown) showing aircraft MM6775 code 37-10 on the Florennes flightline at June 23rd. The Grazzanise based 10 Gruppo participated with 2 aircraft being F-104S/ASA-M MM6719/9-52, MM6778/9-40, both arriving 18 September and leaving on October 13th. A day earlier they made a mission to Lakenheath in the morning, and returning back to Florennes after overshooting Coningsby runway. Two Cervia based 23 Gruppo Starfighters participated being F-104S/ASA-M MM6717/5-41 and MM6739/5-47. Some believed it started already the 10th of November. The Grazzanise based 10 Gruppo and Grosseto based 9 Gruppo participated with F-104S/ASA MM6713/4-2, MM6816/4-6 and F-104S/ASA-M MM6936/9-41. The Grazzanise Starfighter arrived already the 12th and departed the 17th of January. A few days later, 26th, the two Grosseto aircraft arrived. These stayed until the end, on 9 February. The Grazzanise based 10 Gruppo participated with 2 aircraft being F-104S/ASA-M MM6764/9-39 and MM6778/9-40. Both arrived the 26th of March and flew back home on April 6th. The Trapani based 18 Gruppo participated with 2 aircraft being F-104S/ASA-M MM6732/37-04 and MM6767/37-05. These arrived on July 20th and departed again on August 3rd. The Cervia based 23 Gruppo participated with 3 aircraft being F-104S/ASA-M MM6739/5-47, MM6756/5-42 and MM6881/5-44. Aircraft 5-42 and 5-47 arrived the 12th while 5-42 was replaced on the 29th October by 5-44. The remaining 2 aircraft departed November 9th. The Trapani based 18 Gruppo participated with 2 aircraft being F-104S/ASA-M MM6767/37-05 and MM6939/37-22. Aircraft arrived the 27th of November and flew back on 18 December. Two Starfighters from 9 Gruppo were seen at Florennes being F-104S/ASA-M MM6838/4-58 and MM6873/4-7. They arrived already the 1st and departed the 7th of March. The Grosseto 9 Gruppo and Grazzanise based 10 Gruppo participated with 2 aircraft each being F-104S/ASA-M MM6733/4-51, MM6873/4-7, MM6778/9-40 and MM6940/9-50. On the 2nd of May aircraft MM6778 and MM6940 flew to Leeuwarden AFB where MM6778 crashed on the runway during landing and 9-50 had to divert to Wittmundhafen AB. All participating aircraft arrived the 19th of April, just before the weekend and departed again on 17 May. The Grosseto 9 Gruppo participated with 2 aircraft being F-104S/ASA-M MM6733/4-51 and MM6914/4-1. Aircraft arrived the 14th of March and flew back on March 28th. The last time that Starfighters particioned inside a big NATO exercise. Two Grosseto 9 Gruppo Starfighters being F-104S/ASA-M MM6914/4-1 and MM6926/4-12 arrived the 23rd of April and flew missions until early May.